In Spain, football -- the sport known in the United States as soccer -- is the most popular sport. The Spanish national football team won the FIFA World Cup in 2010 and also has been successful in the UEFA European championship and multiple Olympic tournaments. The Spanish word for football is "futbol." 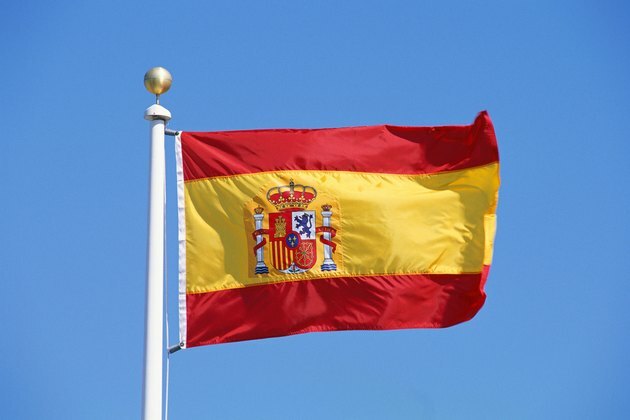 Football came to Spain in the late 1900s as an import from the British Isles. Spanish students who had studied in Britain brought knowledge of the game home with them, and British immigrants to Spain and visiting sailors brought football culture to the country from their homelands. In his 2003 book "Morbo: The Story of Spanish Football," Phil Ball states that the oldest official Spanish football club, Huelva Recreation Club, was formed at the end of 1889 by British immigrants working at the Spanish Rio Tinto Company. In 1890, Spain's first official football game was organized in Seville. The opposing teams were Huelva Recreation Club and Sevilla FC, and most of the players on both teams were British. Sevilla FC, like the club Gimnàstic de Tarragona that formed in 1886, did not form a regular team until the 20th century. Sevilla FC's team formed in 1905 and Gimnàstic de Tarragona formed in 1914. The Madrid Football Club was formed in 1902 and in the early 1900s other teams sprung up, including Club Vizcaya, FC Barcelona, New Foot-Ball de Madrid and Club Español de Fútbol. Regional Spanish teams began competing against one another in 1915. The national team, known as La Selección, played at the Olympic Games for the first time in 1920, winning the silver medal. In 1926, football became recognized as a professional sport in Spain. A national football league was first proposed in 1927, and 10 Spanish teams were admitted to the league's First or "Primera" Division during 1928. These first league teams were Real Madrid, FC Barcelona, Athletic Bilbao, Athletic Madrid, Real Sociedad, Racing Santander, RCD Español, Arenas Club de Getxo, CE Europa and Real Unión. Spain's national football team has had many international successes since its silver medal in the 1920 Olympics. In 1950, the team placed fourth in the FIFA World Cup and in 1964 it won the UEFA European Championship. Spain was runner-up in the UEFA championship in 1984 and won the Olympic gold medal in 1992. The team also has been very successful in the 21st century, winning silver at the 2000 Olympics, winning the 2008 UEFA European Championship and placing third in the 2009 FIFA Confederations Cup. In 2010, Spain won the FIFA World Cup for the first time. What NCAA Teams Have Won Both a Football & Basketball Championship?